According to the Archipelagos Institute of Marine Conservation, a total of 13 stranded dolphins were found up until Wednesday. 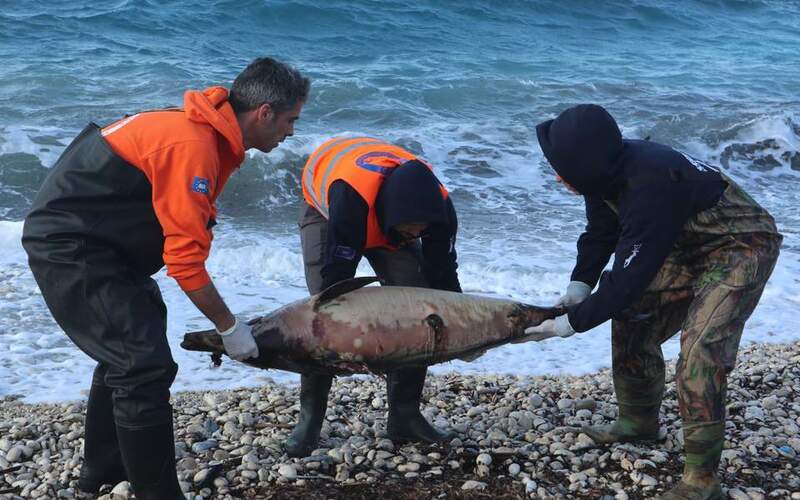 Six were on Samos island, close to Turkey’s coast. The actual death toll is believed to be higher. Necropsies have revealed that the dolphins, most of which were young, showed no sign of disease or serious injury. Scientists warn that sound waves from military-grade sonar can kill or otherwise impair marine mammals. More than 100 vessels took part in Turkey’s “Blue Homeland” naval exercise in the Aegean, as well as the Mediterranean and Black Sea, between February 17 and March 8. Live ammunition was also used. The NGO has in the past criticized Greek navy drills for their impact on marine life in the Aegean.